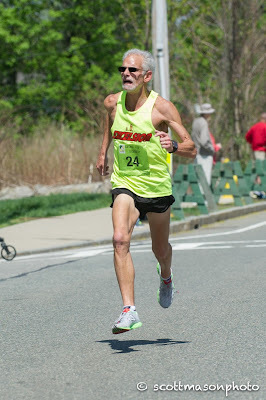 60-64 Men Last year Brian Pilcher not only dominated the division, he smashed the American Record by running 16:38 (net). 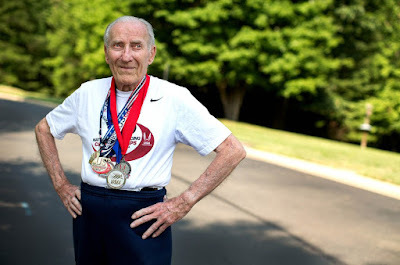 The very next weekend he broke the Half Marathon, 25K and 30K records on the way to tying the Marathon record for Men 60-64. By January he was experiencing some pain in his foot that interrupted his training. 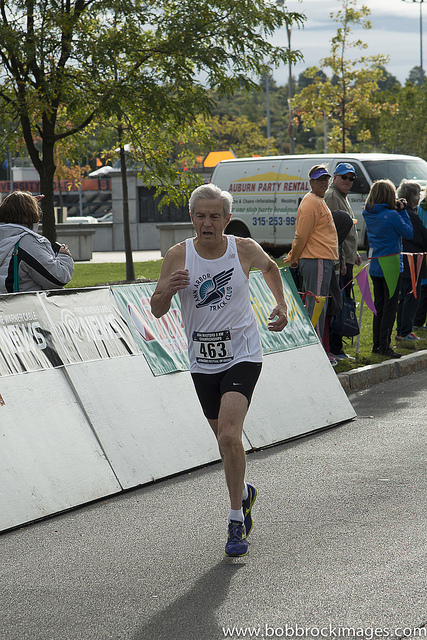 He nonetheless ran in the Masters 8K Championship and came within 7 seconds of the record. Shortly thereafter the problem was diagnosed as a stress fracture; Pilcher took the next few months off before resuming training. 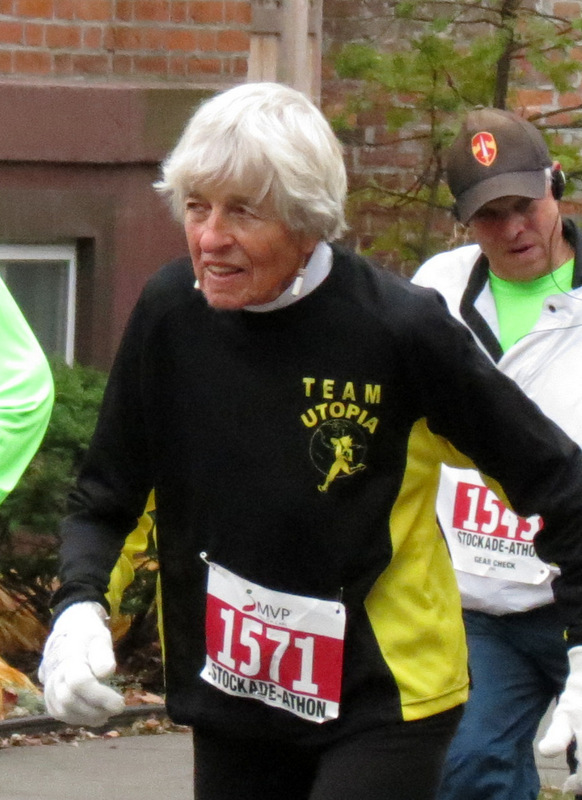 His fitness is coming along slowly; he will not be in condition to threaten the record this year but is attending to pay his respects to Dave Oja and the Syracuse FoR in their last year of hosting the championships. Nonetheless Pilcher reckons he might be able to run something like a 17:20. If so, he is still a favorite for the podium and maybe to take the title again. Last year Pilcher was the only one in the division to break 18 minutes. Tom Ryan finished 2nd in 18:14 and he returns, as well as Kyle Hubbart who finished 3rd, just a few seconds behind Ryan. 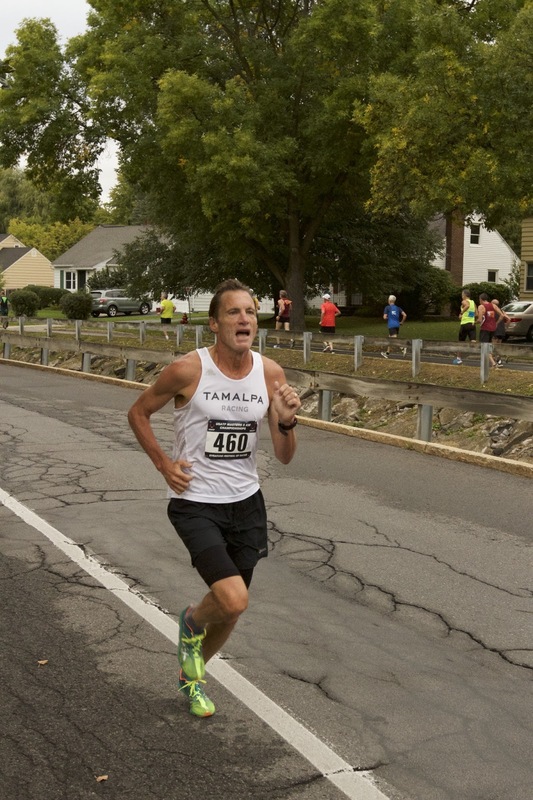 Ryan ran 18:17 in a small, local 5K in September; in July he had a 19:08. Hubbart seems to be running about as fast as he did in 2016 and has a knack for winding up on the podium. He has finished 3rd in the division in the 8K, 10K, and 1 Mile, the 3 races he has entered. Who else might contend? Can anyone else break 18:00? 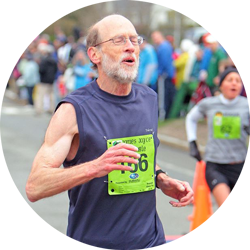 The three most likely are Charlie Andrews who ran 17:31 last year when he was still in the 55-59 division, Ken Youngers, and Tom Dever. Andrews has not run a fast 5K recently but he did run a 38:50 10K in June, roughly equivalent to a high 18 minute 5K. Youngers ran 17:35 here in 2015, and then missed 2016. He has been through surgery and recovery and seems ready to push the pace again. 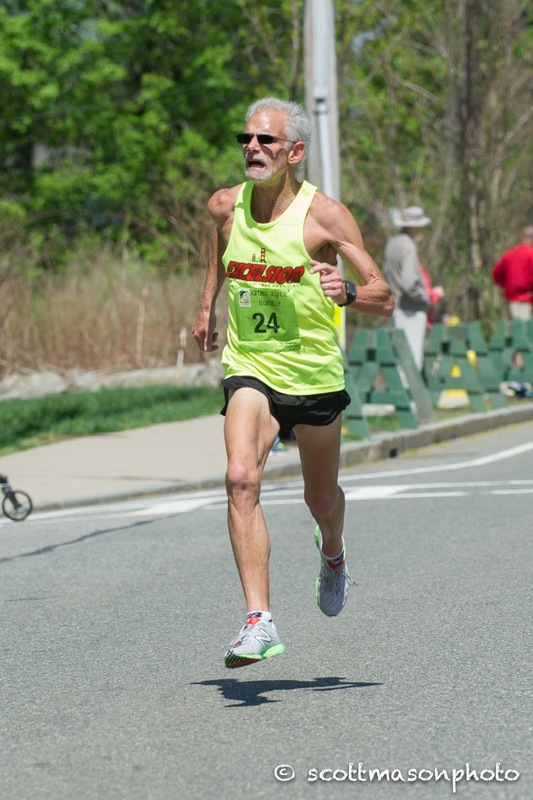 He finished 2nd to Dever in the Masters Road Mile Championship. It is worth mentioning that the 17:35 in 2015 was 46 seconds slower than his time here in 2014. If he has recovered his 2014 fitness, a 16:49 for a 57 year old is age-grade equivalent to a 17:14 for a 60 year old. The Macon Labor Day 5K is a fast race, no doubt, but Youngers just clocked a 17:08 there. That suggests he might well be able to get under 17:30 on the Syracuse course. Dever has an 18:25 and an 18:48 to his credit but he is likely still improving after losing some time to surgery and rehab. He might be able to break 18:00 but it would be surprising if he broke it by much. He had a 17:48 and a 17:57 in the fall of 2015. Still, he was ahead of Youngers at Flint by 5 seconds; that suggests he should still be ahead in Syracuse. It will be fascinating to see. Women There is no overwhelming favorite entered at this point. The strongest candidates for a gold medal appear to be Nora Cary and Patrice Combs. Cary finished 2nd to Nancy Stewart in the division last year in 20:30. Combs finished 5th in the 55-59 division in 20:36. Earlier this summer, Cary appeared to run about half a minute slower than last year. But that difference can be illusory as conditions vary from year to year. Others who can contend include teammates, Mo Bartley and Jill Miller-Robinett of the Impala Racing team. 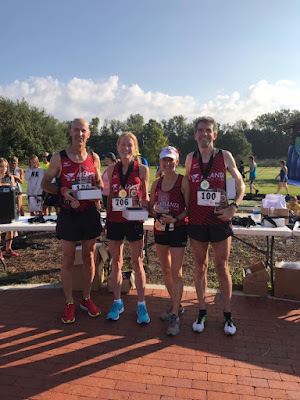 Miller-Robinett finished 3rd last year in 21:53; Bartley, who did not compete last year, has generally been about 30 seconds faster than Miller-Robinett in races of 8K to 10K Cynthia Williams and Margaret Taylor were 4h and 5th last year in 22:48 and 23:01 but Taylor has had the edge over her teammate this year at the 8K and 10K Championships. Taylor just ran a 22:24 at the Macon Labor Day 5k. But they will need their best race of the year to break onto the podium. 65-69 Women This one is easy to pick based on current entrants. Sabra Harvey, current World Record holder of track records for the 800 and 1500 meters, has won every road race she has entered this year. It could get interesting though if Kathy Martin, who has faster times this year at races 10K and up and who set the American 5K record here last year, would enter. 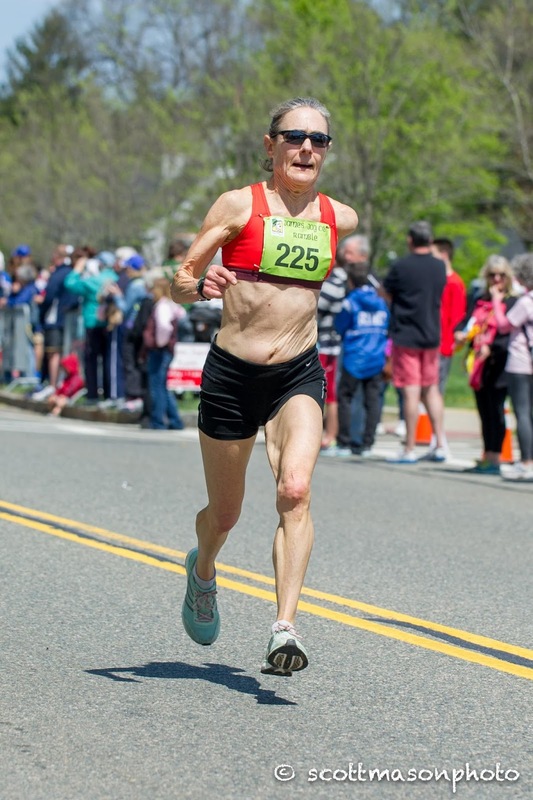 Edie Stevenson who ran faster than the listed American 10 Mile record at the Cherry Blossom race this spring, should be the fastest of the rest. She finished second to Martin last year in 21:56. She has been running even stronger this year with a 21:39 at Freihofers in June and a 21:36 in August. Coreen Steinbach, Nonie Hudnall and Jo Anne Rowland finished within 27 seconds of one anther last year in 3rd, 4th, and 5th. Steinbach appears to be on pace to match last year’s effort as she ran a 23:57 5K in July. Hudnall’s 5K’s have been a bit slower, in the 24:12 to 25 minute range but, of course, different courses can be more and less challenging. Rowland was out of action for a few months so may not be quite at the fitness level she had last year. Cindy Ingalls might be in the mix; on the comeback trail in the spring, and trying to regain her sub-23 5K fitness, I looked for significant improvement over the summer. But I cannot find any race results for her. Men This division looks to be a repeat of earlier Championships. Tom Bernhard, Peter Mullin, Doug Bell and Kirk Larson have been coming in 1-2-3-4 all year. Will someone upset the apple cart this time? Last year Bernhard broke the American record for men 65-69 with a 17:32 [17:31 net]. He has not reached that level of fitness this year; he was a minute slower at the Morgan Hill 5K this summer compared to 2016. Still, he had not trouble coming in first at the 1 Mile Championship in Flint Michigan about 8 seconds ahead of Mullin. Mullin finished 2nd last year in 18:14 with a 17 second gap on Bell, who had almost a minute on Larson. Cross Country Ace, Chuck Smead, Bell’s Boulder Road Runners teammate, could make things interesting but his chances for the podium are slim with Bernhard, Mullin and Bell in the race. And now Jan Frisby,who has been waiting in the wings for the last year or so, will turn up having lost that extra weight that he says has been slowing him down, and may make us all look slow. Women Two athletes are entered in this division, the American record holder, Jan Holmquist and Dianne Anderson. Needless to say, event though she is the defending champion, Anderson will be happy to compete for her team and enjoy the race. Holmquist is gradually returning to the form she enjoyed in 2015 when she last broke the women’s 70-74 record, but she is still probably the better part of a minute away. She ran the Beach to Beacon 10K this summer about a minute slower than in 2015, but a 48:23 10K is nothing to sneeze at. 75-79 Women There are three entrants at the moment, Madeline Bost, Christa Maier, and Fran Rowe, who appear to be pretty well matched. Two years ago, Bost had the edge, winning in 34:21; Rowe finished 3rd in 36:05. But Bost was not able to compete in 2016 and Rowe took 2nd in 35:54. Furthermore, Rowe ran 37:52 in the Tops Run for Roswell in late August, and that is over a minute faster than she ran the race in 2016. Bost ran 37:40 at a Labor Day 5K but just a month earlier ran 38:40 and 39:46. Maier’s 5K times have been in line with Bost’s slower two times and those are about a minute slower than she ran in 2016. 80-84 Men Wade Stockman is the defending champion; he won last year in 31:16. It appears that Jim Askew has the edge this year. Fresh off his win at the 1 Mile Road Championship, Askew also has a 28:51 5K to his credit from this June. Stockman is the clear favorite for 2nd place although his 5K time this summer suggests he may be a bit slower than last year. Steven Fuchs and Sam Graceffo appear to be pretty evenly matched. The one who has the better Race Day should get the final podium position. Both have run their 5K’s in the 37 to 38 minute range this year. Fuchs also ran a sub-48 minute four miler in August, which age-grading suggests is roughly equivalent to a 36:03 5K. Based on that, I will give Fuchs the edge for the bronze medal. Women Tami Graf and Edna Hyer will renew their friendly rivalry in this division. Graf took 2nd in 35:02 last year, behind record-breaking Libby James. James is ill unfortunately and will not make the race this year. That makes Graf the favorite. Hyer took 4th place in 39:37. Their races this summer suggest they are both in about the same fitness they enjoyed last year. 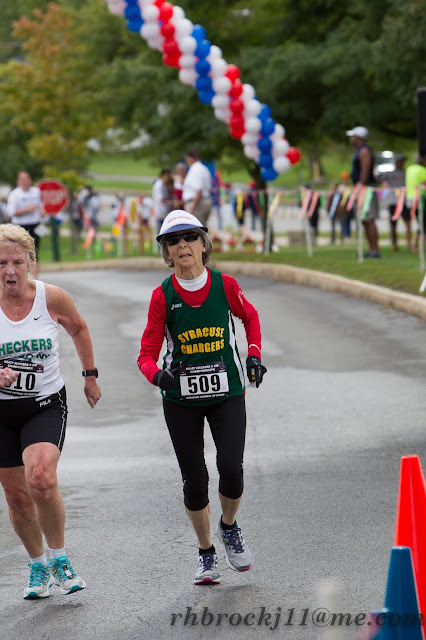 85-89 Women Anny Stockman who moved up in age divisions after finishing 3rd in 80-84 last year with a 38:13 clocking, is unopposed. The only suspense at this point is whether she can break the American record for the division. Men David Rider bested two rivals last year to take the Gold Medal in 35:32. Unless a challenger or two shows up in the next week, he will defend his championship with ease. He ran a 37:06 5K in April; replicating that would be more than sufficient. 95-99 Men This is the first time in my memory of the 5K Masters Championship that we have had an entrant in this division. 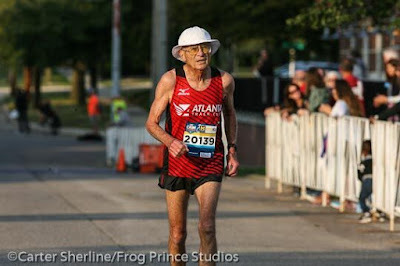 Roy Englert of the Potomac Valley Association ran a 43:34 in the Senior Games 5K in Birmingham AL this June. If he can approach that time again, not only will he win the Gold Medal, he will break the American Record. As always any predictions are offered in a spirit of fun, understanding that fitness on Race Day is variable and cannot be known in advance. Have a great run everyone! Next-Preview No. 3 is the Records Watch!